Sturgeon fishing continues to be good, yesterday we landed over 50 fish between 5 boats, several fish over 7ft were landed, quite a few in the 4 to 6 ft range. The tides are playing an important role right now, best to fish the incoming to high slack, once tides turns the bite is off and fishing slows considerably. Having the right bait is critical right now, we are hearing that many guides are struggling out on the water, if you have the tides dialed and good bait you should do just fine. 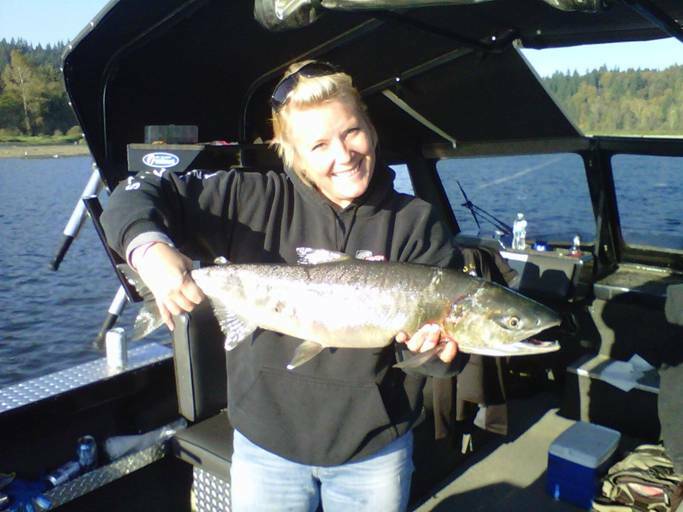 Salmon fishing on the Fraser is excellent right now, bar fishing or plunking with tee spoons has been producing some great fish. Yesterday STS Guide Jerry Dewar and our guest from Ireland landed a 40 lb chrome bullet on the fly, I should have the pic later today to post, what a fish. 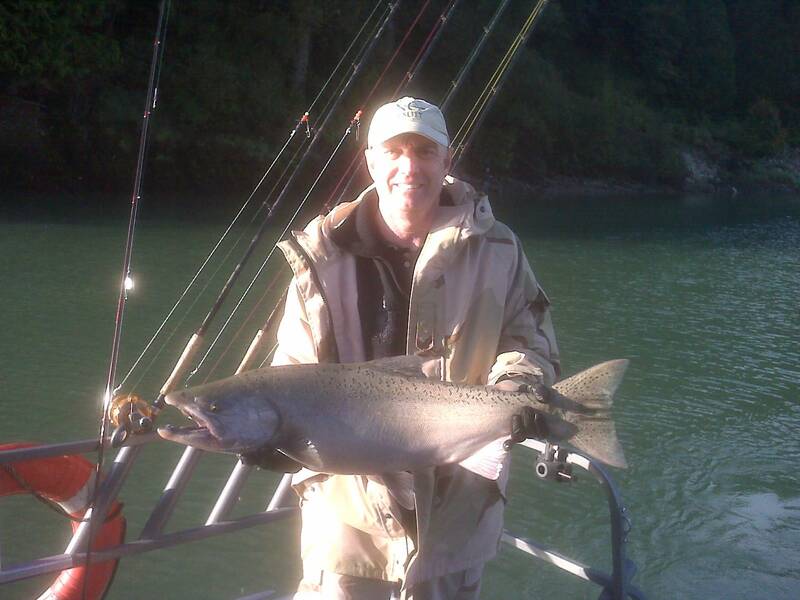 Coho fishing has also been excellent, fishing the bars on the Fraser is your best bet. You can either cast spoons or bar fish, either one is working. Fly fishing is also producing some beautiful fish if your willing to work for them. Chum fishing is slow although the Stave and Harrison are starting to see some numbers migrate through, float fishing with jigs or fly fishing is your best bet. Jess caught this bright chum on the Stave yesterday evening, nice fish Jess. 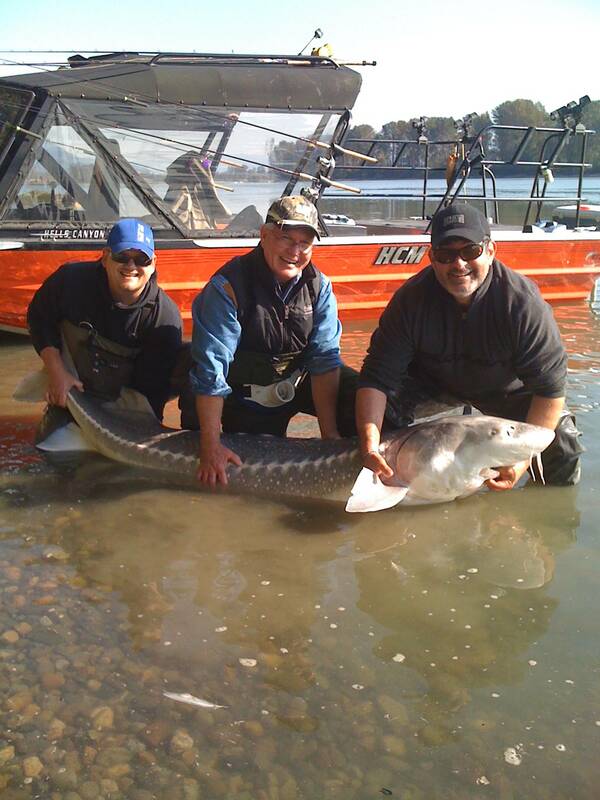 If your wanting to expereince some great salmon and sturgeon fishing we are still booking trips for the next 3 weeks. 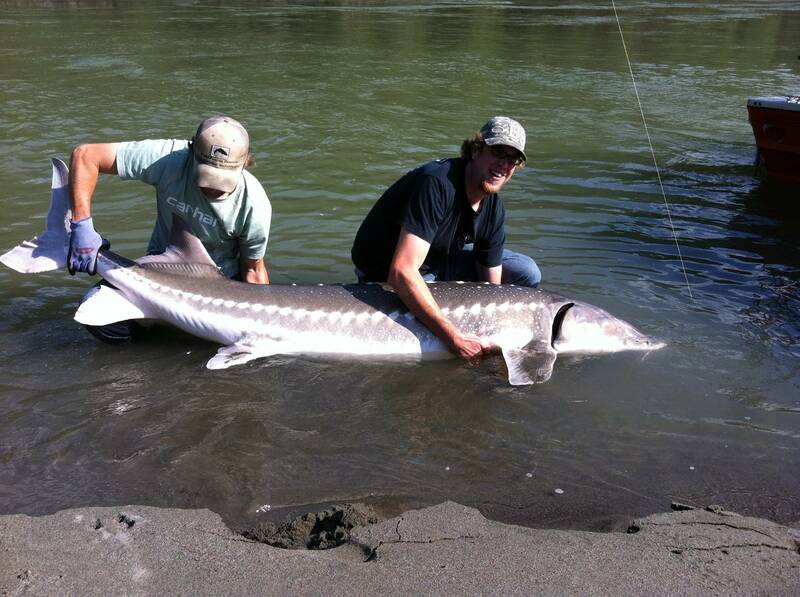 Fishing for both salmon and sturgeon should not only continue but improve until mid to late November. There is a new "Follow us" option on the bottom right hand corner of this page, you can now recieve our fishing report blogs as we post them. The first 200 people to sign up will be entered to win a trip with STS for the 2011/2012 season. Tight lines and see you on the water.